It just goes to show that it really can happen to anyone. It also goes to show why discipline in the cockpit is so important to safe operations, regardless of what other distractions may present themselves. 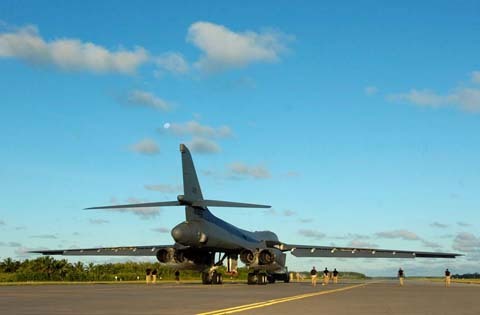 On May 8, 2006, a 7th Bomb Wing B-1B Lancer (Tail Number 86132 – and called “Oh! 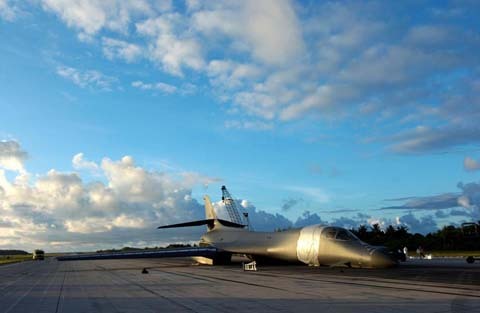 Hard Luck”) made a wheels-up belly landing on runway 31 at Diego Garcia, and skidded 7,500 feet down the runway. 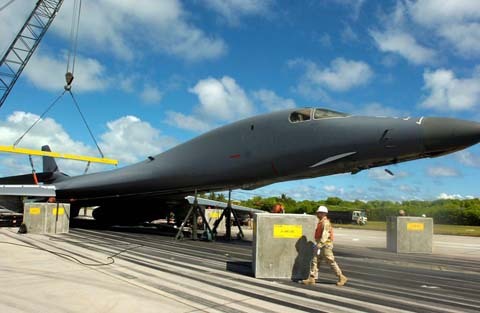 The incident occurred at about 10 p.m. local time at the end of an 11 hour ferry mission that started at Andersen AFB, Guam. 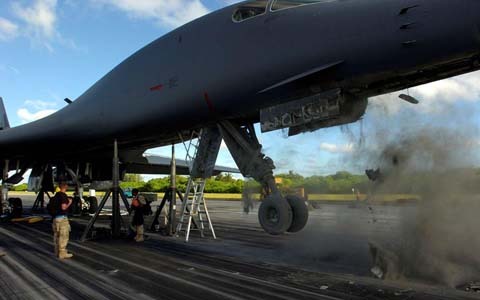 During the landing, the B-1B caught fire and emergency crews extinguished the flames. 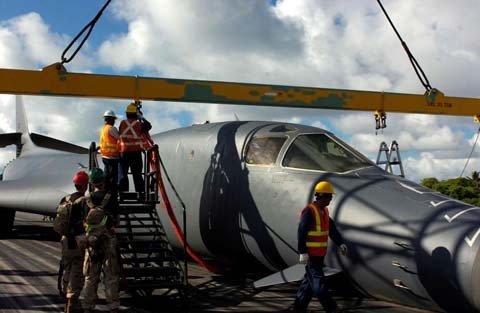 The four-person aircrew escaped from the plane through the overhead escape hatch. 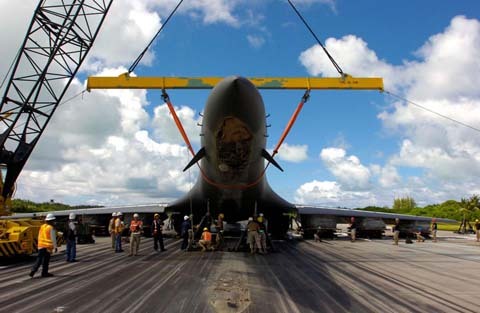 The aircraft was removed from the runway 4 days later. 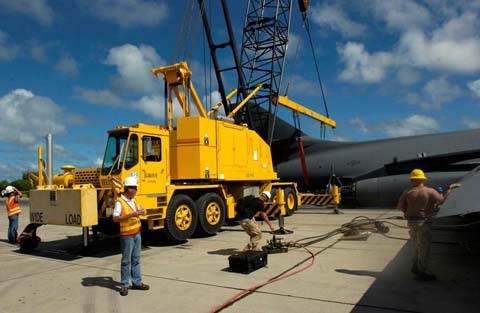 The photos below were taken during that recovery. 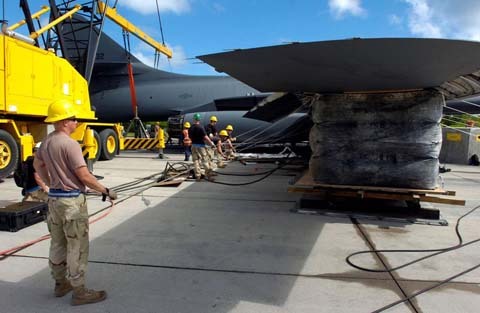 Photo source website of Ted A. Morris, Jr. 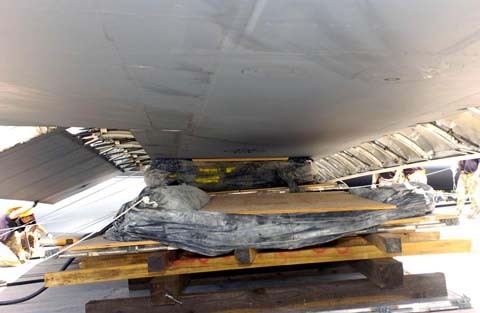 The Air Force Accident Investigation, released on September 18, 2006, concluded the pilots forgot to lower the landing gear. 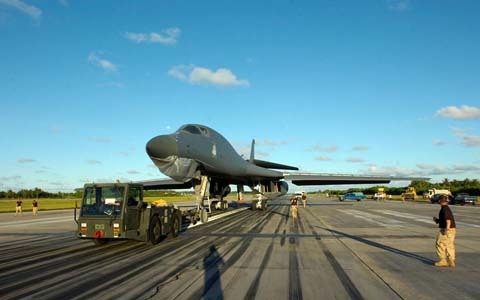 The USAF estimated the damage to the B-1B at $7.9 million, and the damage to the runway at $14,025.